Directory Of Tellers | The Storytelling Guild of Australia (WA) Inc. 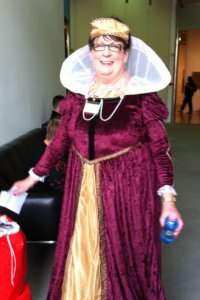 I have been a member of the Storytelling Guild since 1992,and winner of the Hilda Finley Award .I am residential teller at the Joondalup Shire Library,and I have performed over Australia and the USA.Radio interviews include ABC Longreach Distance Education.My speciality is Australiana yarns and poetry with a stock whip routine bush instruments included. 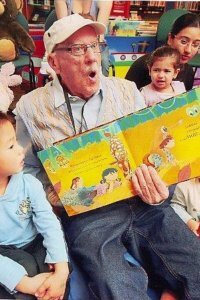 "Bill Park (aka Aussie Bill) has been volunteering once a week at Joondalup Library since the beginning of 2008. He entertains visiting young children and their families with stories, music and songs each week during the library’s Story Time program. Since emerging from his egg under the tree of enchantment Branan has been spinning tales in service of the Mythos. 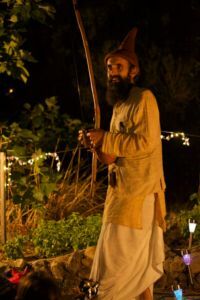 He has mesmerized both adults and children alike with his musical renditions of ancient and original tales. Inspired by the bards of yore, Branan has performed story in Australia, Britain and the USA, from festivals to cafes, market lanes to schools, commando assaults to 2-hour epics. 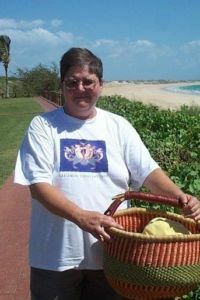 I am a retired teacher with both classroom and Library Resource teaching experience. I tell folktales, fairy tales, personal stories, biographies and selected stories to suite the audience and situation as well as Croatian stories. I am available to present workshops to develop storytelling skills and for personal development. Glenn B Swift is a Western Australian Storyteller. 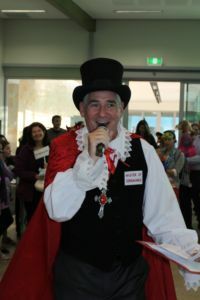 He has been performing professionally in schools, libraries, theatres and other public and community events since 1988. His repertoire, much of which is original, ranges from the historical to the hysterical, and includes material for pre-primary through to adults. Some stories are themed to the environment, some social and natural history, some to interpersonal relationship- much of it is purely entertainment. He is the creator of legends which have entered into West Australian oral history, like How the Quokkas came to Rottnest , and The Ghost in the Belltower. He has also created and adapted for performance Fairy and Folk tales from around the world. He enjoys creating storytellers in his audience. Primary aged children re-enact the stories in the playground –there is lots of opportunity for participation. Older students remember and retell the stories at home, like a good joke. Glenn has heard some of his stories retold in a classroom by a high school student, who heard them from his grandmother! 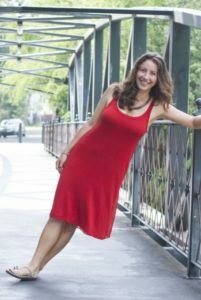 A lifelong lover of stories, Jenni revels in choosing fairytales, folktales, myths and legends from the oral tradition as well as original, family and historical stories. From her many years experience of telling in schools and public libraries Jenni can adapt to curriculum requirements to develop individual programmes and special themes and enjoys the reminiscences of older listeners triggered by her stories. 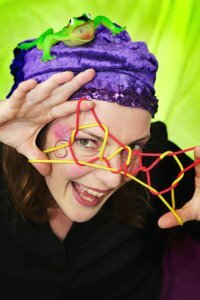 Jenny Hill is a professional storyteller with extensive experience in performance, education and community projects. 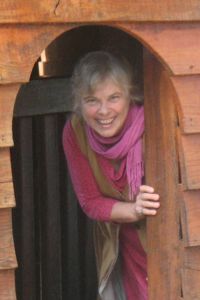 She conducts workshops and training programs for both children and adults, and has taught storytelling in the Early Childhood Education course at Notre Dame. Jenny has a deep interest in the therapeutic potential of stories, listening to their resonances, their reflective qualities and the sometimes surprising ways they contribute to transformation. Jenny has worked with Nancy Mellon, author of “The Body Speaks” and Ashley Ramsden, director of The International School of Storytelling. She works out of The Story Studio, a place for both traditional and experimental storytelling in the spoken word as well as a place out of which storytelling projects and partnerships can grow. Jesse the Wind Wanderer is a actor, storyteller and child care educator. 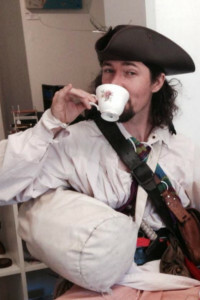 He has been telling professionally for ten years and his professional credits include a comedy improv storytelling show in FringeWorld "Get Stumped", a residency in Jakarta teaching storytelling, three distance education productions by West One and many performances at schools, libraries and children's parties. He has also performed at Busselton Fringe Festival, Fairbridge Festival, Fremantle Festival, All Saints Literature Festival, and many others. Current projects include a participatory choose-your-own-pirate-adventure show and a telling of HP Lovecraft's "The Lurking Fear". 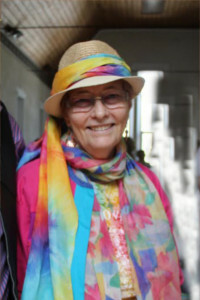 Rosemary specialises in original stories and her own unique re-tellings of folk and fairy tales, myths, and sacred stories. She tells stories at Guild events, in schools, arts and folk festivals, children's holiday programmes, at birthday parties, in theatres, and in nursing homes. Sarah Loden is a storyteller, community artist, and creative educator whose work is inspired by children and a passion for play. In a word, Sarah’s performance is dynamic. She ranges from telling with a book in hand, in traditional oration, through audio, visual, and dramatic rendering, and involves her audience through music, dance, and other forms of interactive participation. She has appeared on the stages of large festivals, in the halls of museums, and in classrooms of community centres - bringing life and meaning to each in the form of stories. Quiet stories to settle information overloaded children. Use of Puppetry. Stories from around the world to stimulate the creative magination of adults and children. Historical, mysterious and mystical stories for young and old. Teller has been a Guild member for 6 years and has been a recipient of the Hilda Finlay Award for Storytelling. She has published a book of poetry, “Poems of Passion and Praise”. Audience Sizes: 1 to Adults 12 – 15; children 25. Storytelling workshops for new tellers.